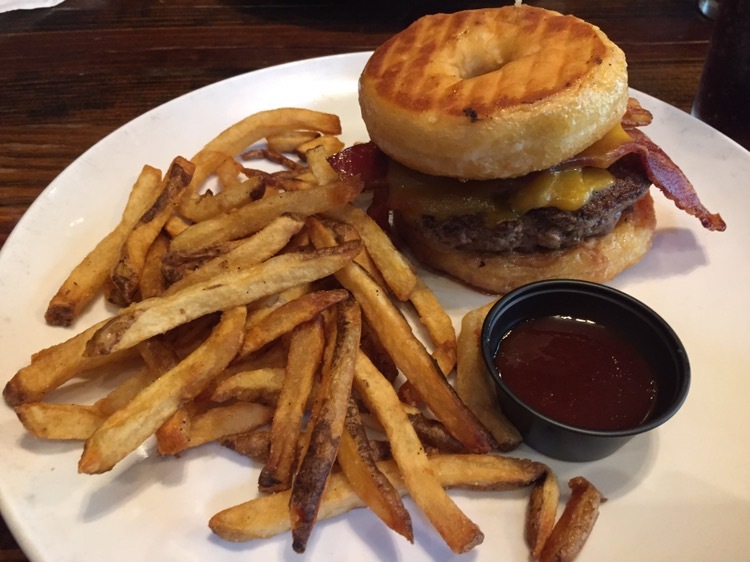 For a change, lately, I know where this referral came from – a friend said that I really needed to try the Sublime doughnut burger at Cypress Street Pint and Plate, and I wrote it down. I wrote it down a year (or two) ago. Today, as we were heading in town for lunch, it came to mind and off we went. 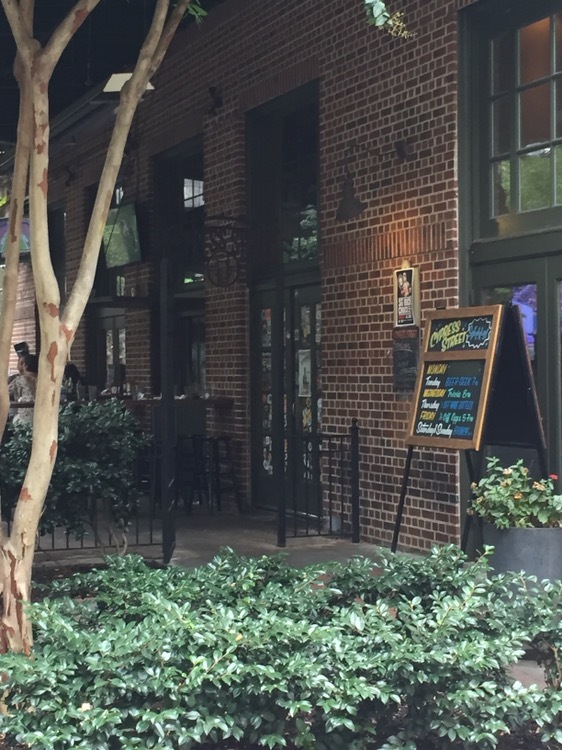 We had a bit of a challenge finding the restaurant, as my GPS took us to the front of the Biltmore, on West Peachtree. They are actually located on the back corner of that building, at the intersection of Sixth with Cypress Street. 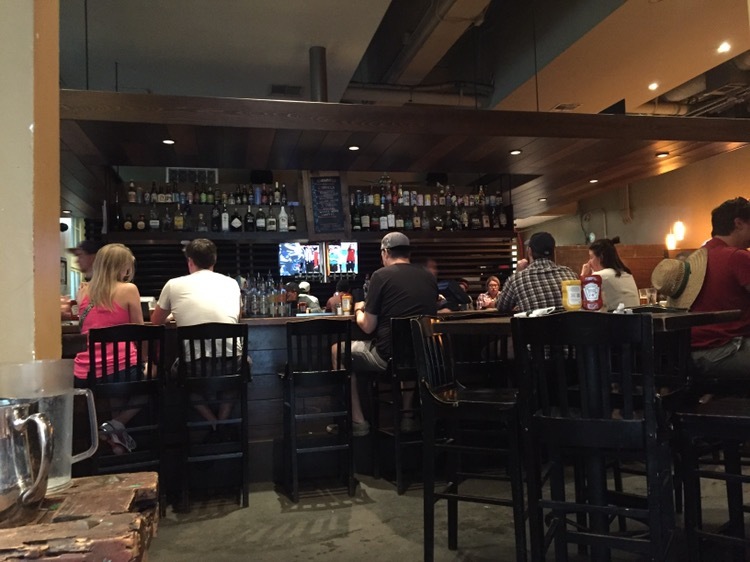 This place definitely has the feel of neighborhood bar, but in a neighborhood full of twenty-somethings. Who really like beer. The menu was eight or nine pages – two were food, four were beer, two were wine and one had all the cocktails and a list of the well contents. My beloved ordered the “pickleback” – a burger with a Jameson whiskey glaze, pepper jack cheese, fried pickles and garlic mayo on a brioche bun. a burger, topped with cheddar cheese, applewood smoked bacon and caramelized onions, with two Sublime doughnuts serving as the bun. Yep. The doughnuts really mixed well with the savory burger, with every bite finishing off with a little sweetness. Would I / could I / should I eat one of these everyday? Probably not, but it was sure a pleasant treat. 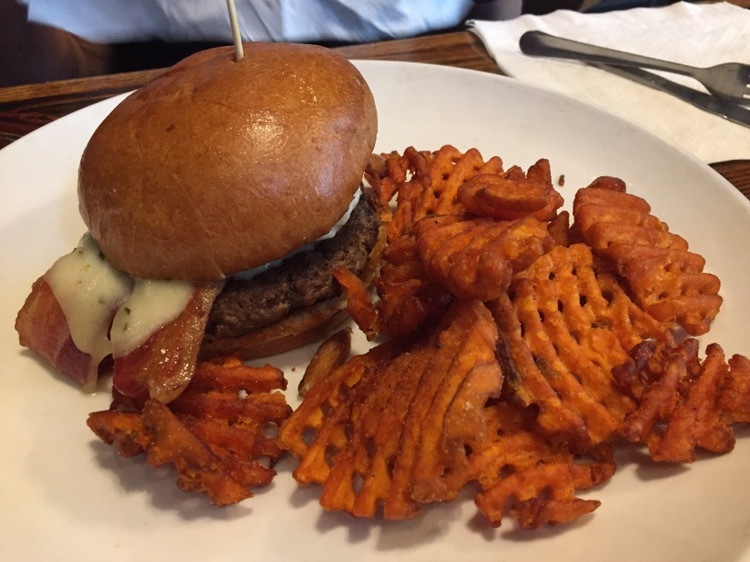 The burger itself was very good – a perfect medium and the house cut fries were piping hot. Service was speedy. This all added up to really good lunch.